A monthly religious periodical serving the Calvinist Methodist denomination in south Wales. Amongst the periodical's editors were John Howell (Bardd Coch) and the ministers and authors, William Williams (1817-1900) and Edward Matthews (1813-1892). 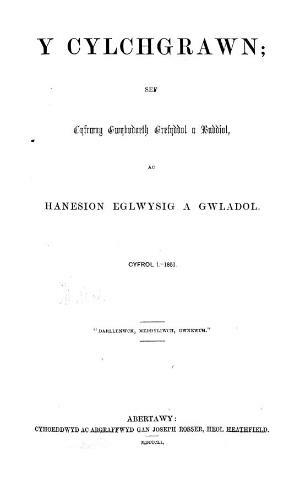 Associated titles: Yr Ymgeisydd (1861); Yr Oes (1863).